If you wish to speak with a collaborative attorney to learn more how we can help you, schedule a consultation with Family Diplomacy: A Collaborative Law Firm at (813) 443-0615 or fill out the contact form. Adam B. Cordover is president of Next Generation Divorce, Florida’s largest collaborative practice group consisting of a network of caring mental health professionals, financial professionals, and family law attorneys. 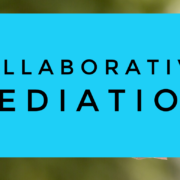 Adam is also an internationally recognized speaker on the topic of Collaborative Divorce and a member of the Research Committee of the International Academy of Collaborative Professionals. Florida Collaborative Divorce: A Flowchart Advanced Training: Get More Collaborative Cases!